The most recent tragic events in the Muslim world invite us to reflect seriously on Islam as a resurging ‘‘major factor in shaping the 21st-century world.” The quoted phrase appears in Faith,Reason, and the War Against Jihadism (Doubleday, 2007) by one of America’s (and the American Church’s) finest scholars and thinkers, George Weigel. Invited once to address one of our country’s major corporations, Weigel argued for three key points: (1) that history cannot be read solely through the lenses of politics, economics, or technology; (2) that ideas have deep consequences for the dynamics of history; and (3) that the life and morale of one’s culture are key to the success of civilization and influence over the span of decades. In an especially incisive look at Islam, John Paul II granted that although some of the “most beautiful names in the human language are given to the God of the Qur’an,” he is ultimately “only Majesty, never Emmanuel, God-with-us.” While the Transcendence of God is emphasized (God as the Eternal Other), his immanence (God revealing himself in Jesus) is not. Again, however, the religiosity of Islam is clearly affirmed and deserves respect. The next Egyptian Coptic Pope should open churches for Muslim children to promote interfaith dialogue and understanding in the predominantly Muslim country, a prominent Egyptian Christian businessman has said. 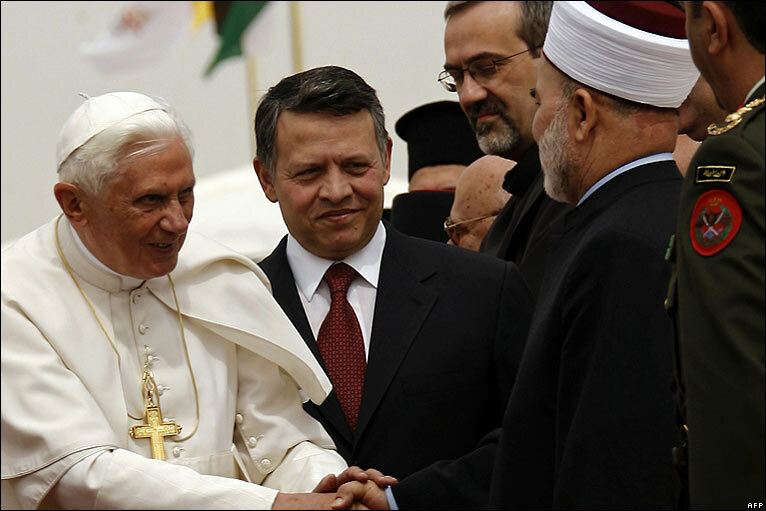 “We hope that the new pope will open the churches to Muslim children so they can play with the Christian children. 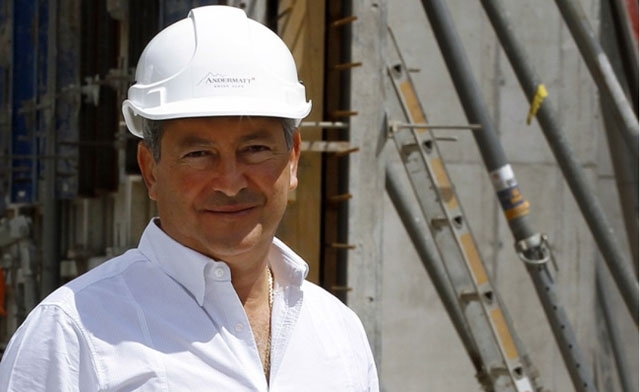 While the children of the church have to get out of the church boundaries and reach to their Muslim counterparts so we can develop a unified national fabric,” said property billionaire Samih Sawiris. His call came as Coptic Christians voted Monday to elect a new leader to succeed Pope Shenuda III, who passed away in March leaving behind a community anxious about its status under an Islamist-led government. The death of Shenuda, who headed the church for four decades, set in motion the process to elect a new patriarch to lead the community through the post-revolution era in Egypt, which is marked by increased sectarian tension. “The pope should seek with all the spirituality he owns to reunite Christians between themselves as well as reunite Egyptian Christians and Muslim,” Sawiris said, according to the daily newspaper al-Masr. It’s one thing for a group like the Muslim Brotherhood of Egypt to sit on the sidelines and critique the existing government of tyrants like (former) President Mubarak. It’s another for them to effectively run a complicated country like Egypt. Two more rounds of elections and a more real and balanced democracy is likely. Patience! The sun was searing as the wind howled and burned the eyes and face. There was not a person in sight as the man, with wife and newborn child, walked along the barren plain. After a long journey, the man stopped, unpacked some food and water for his family, and then turned to leave. There was no one around; no well from which water could be drawn; no date palm from which food could be taken. And in this barren and desolate patch of desert, the man left his wife and child. “Why are you leaving us?” she frantically asked. He did not answer. He did not even turn around. He simply kept walking. “What are you doing? Why are you leaving us?” The pleas became ever more desperate, but still, he did not answer and kept walking. “What is happening?” No answer. “Yes,” was his answer, and he left. Nigeria has suffered from sectarian, ethnic, and tribal violence for quite some time. As in many African countries, there are political, economic, and social issues at work, a shortage of resources, unfair distribution of wealth, tensions between settled and nomadic groups, etc. Often whatever violence is carried out is defended as being “retaliation” or “revenge” for some previous act carried out by the other group. 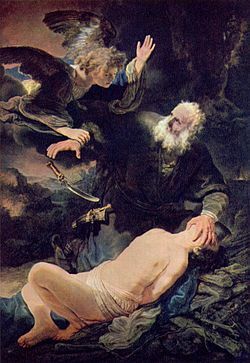 Extremists (like Boko Haram) take advantage of the situation by attempting to provide phony religious or nationalistic justifications for why a particular group must carry out such acts of violence in “self defense”. Attempting to oversimplify what is happening, or to depict the violence in Nigeria as being a religious war, does a disservice to all of the people. In 2011, Christians attacked Muslims praying at a mosque on Eid in Jos The mosque had been burned in previous religious violence. 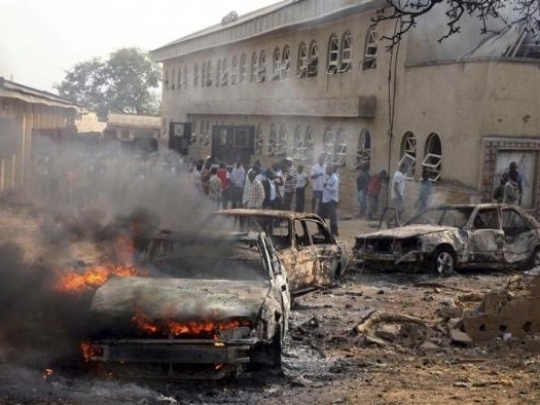 In 2011, Christian youths attacked a car full of Muslims returning from a wedding in central Nigeria, killing seven people inside the vehicle and sparking retaliatory violence that left one other person dead. In 2006 Nigerian Christians defended aseries of attacks on Muslims in Onitsha that left two mosques destroyed and at least 42 dead. Nigeria has seen at least 20,000 deaths from political, ethnic and religious violence. Nigeria is home to more than 200 distinct ethnic groups drawn together in a volatile mix by European colonial mapmakers in the 19th century. … Though the city is considered part of the homeland of the heavily Catholic Ibo ethnic group, thousands of northern Muslims, mostly members of the Hausa ethnic group, have moved here in search of work. The loudest Christians making waves about Islam for much of this year have not been terribly, well, Christian. There have been the protests against plans to build mosques in places likeTennessee and New Jersey, and arson attacks on mosques in Joplin, Missouri and Toledo, Ohio. The anti-Muslim postersplaced in New York City and Washington, DC subway stations by Pamela Geller’s organization. And that crude now-infamous video that sparked riots across the Middle East. To counter the perception that Islam itself is responsible for the violence of the extremists, here is how Muslims in Pakistan have responded to the vicious attack on the 14 year old girl who dared to stand up to the radicals.